Why would ANYONE use metrics to measure quarterback performance that aren’t related to football? Because we can. And why the hell not? You can take any topic in the world and evaluate what it’s doing on the internets. For example, did you know that you can bid on quarterback names in search? Who would do that? Why would you do that? I’m sure I don’t know the answer to that question, but did you know that Andy Dalton, the Red Rifle, has a recommended bid of $29.79, and a search volume of 53,000 per year? 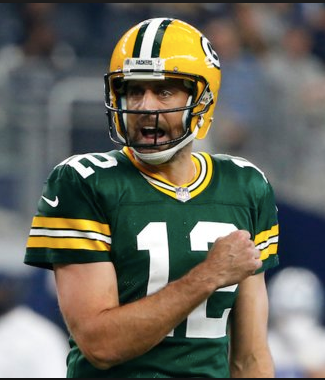 What about the fact that Aaron Rodgers gets searched 661,000 times per month, but cost the team and fans a whopping $1.34 million per touchdown? 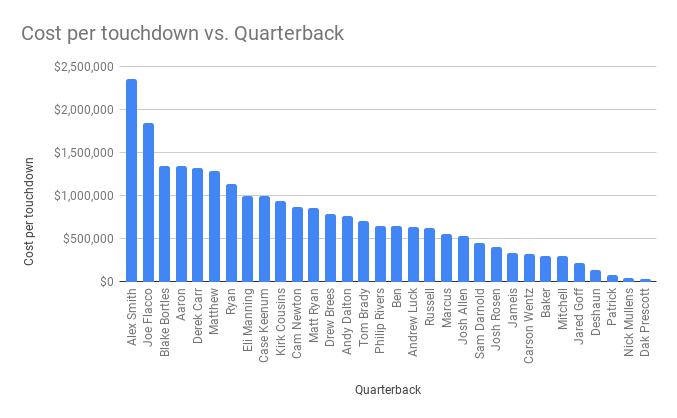 Let’s take a look at how much the internet loves their quarterbacks, and how much they are giving them in return. 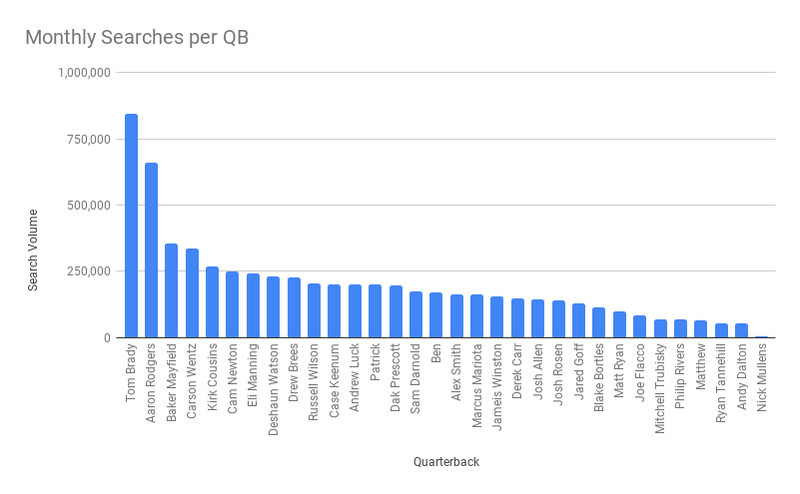 I took 32 qualifying quarterbacks and plugged them into a few tools to see how much love they are getting, and giving. And some of the results are pretty hilarious. For example, in looking at the related searches in Ahrefs we see that 34,000 people per month don’t remember Gisele Bundchen’s name, and old Tommy boy almost gets as many searches as his own team, the New England Patriots. 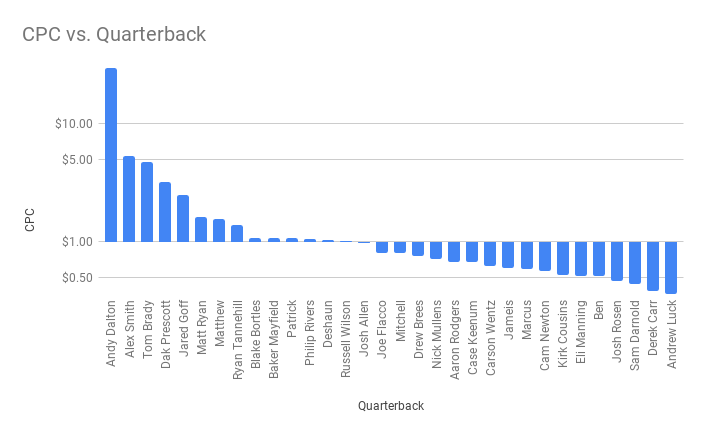 Without further ado, let’s look at which QBs are getting searched the most often. What do you know? 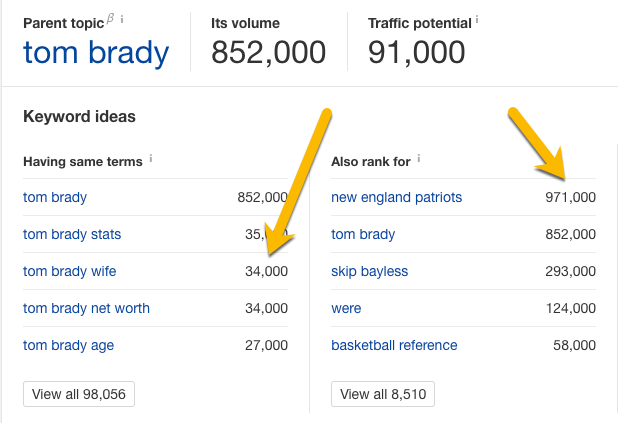 Good old Tom Terrific and his deflated footballs scores tops in search volume, followed by a sorely disappointed A-Rog. Serves him right for getting Mike McCarthy fired. 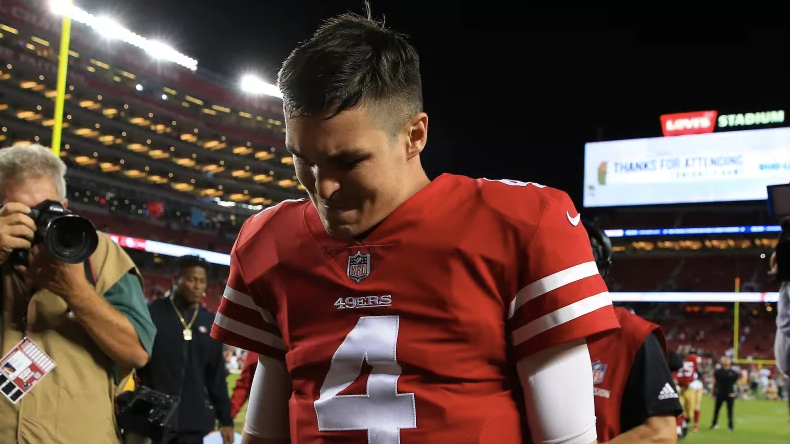 And what about poor Nick Mullens? As a California native, I can tell you for certain that his bottom-of-the-barrel 4,600 searches per month is directly correlated with the nature of our fairweather fans out here on the West Coast. Sorry Nick, we only care when you win. Do people actually pay for quarterback names? Perhaps. Maybe to sell some jerseys? Maybe a few bobbleheads from the inventory? Who knows. Let’s see what pops up. Andy, what are you doing all the way up there?? Coming in the top three are Andy Dalton, Alex Smith and Tom Brady at a recommended bid of $29.27, $5.37 and $4.37, respectively. Then we have poor Andrew Luck who can be had for a measly $0.36 per click while throwing a monster 39 touchdowns this season. 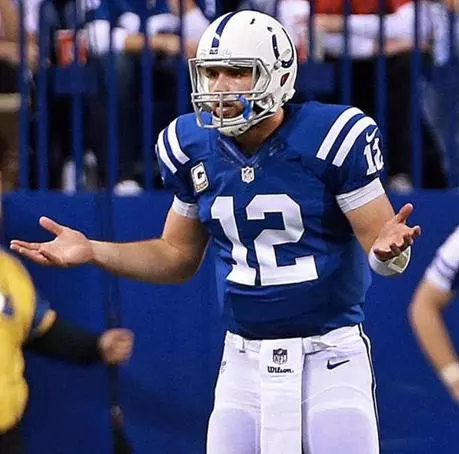 Wait, Andrew Luck really threw 39 touchdowns? Did anyone know this was happening? It’s value time! Did your quarterback have an overinflated albatross of a contract weighing you down (looking at you, Joe Flacco), or did you catch lightning in a bottle? We may have to give Alex Smith and Joe Flacco a little slack due to injuries … a little. But let’s take a look at Blake Bortles, Aaron Rodgers and Derek Carr costing a whopping $1.34, $1.34 and $1.31 million per touchdown. Yikes. But on the flipside, check out Mr. Dak Prescott checking in with a cool $30,948 per touchdown. Damn, he is cool. And Dallas sure is happy to see Romo as a box jockey rather than their Sunday Slinger. Aaron Rodgers is overpaid, everyone loves Tom Brady (and can’t remember, or knows how to spell Gisele Bundchen), Andy Dalton costs a fortune to bid on and Dak Prescott is the bargain buy of the century. How will this help you with marketing? What are Rich Snippets, and why should I care about them?